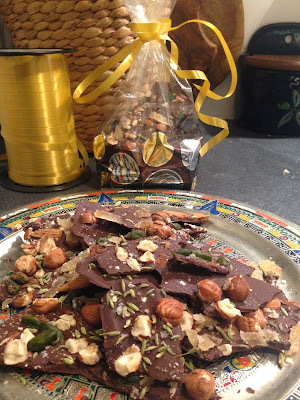 Looking back on the holidays there was much activity in my small Paris kitchen. 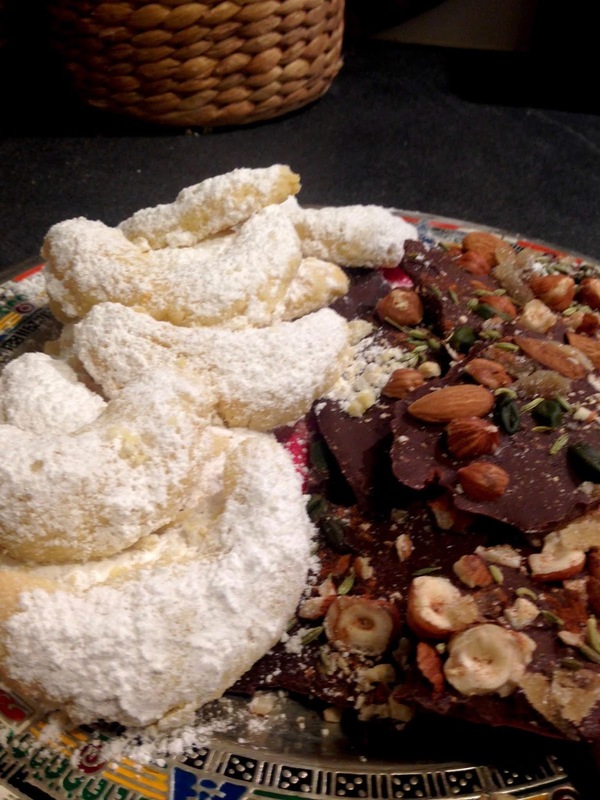 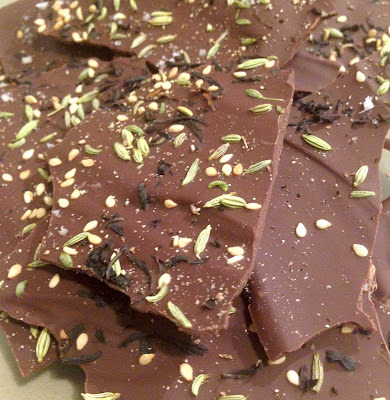 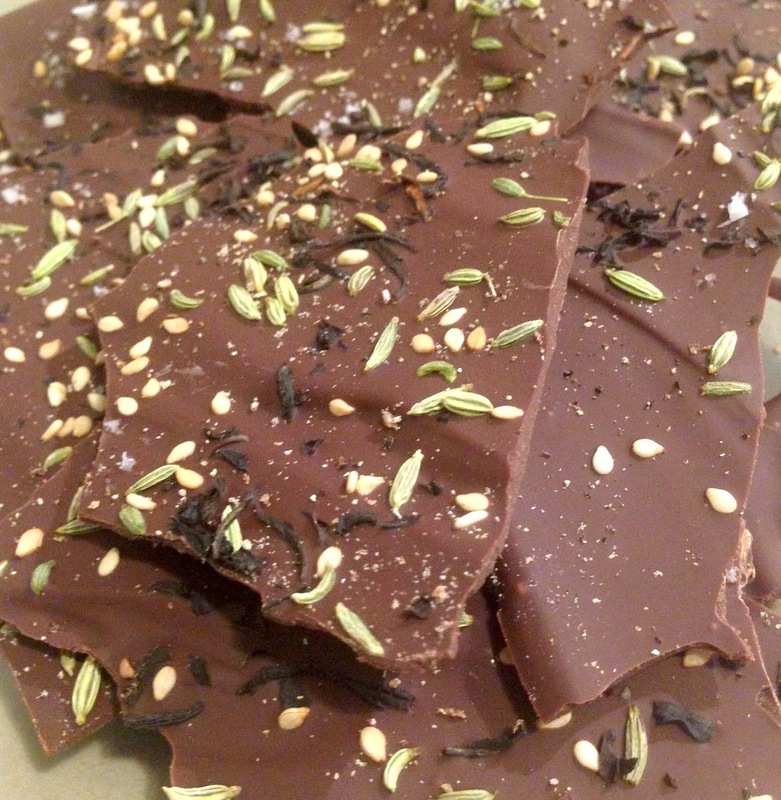 Several varieties of home-made chocolate bark were paired with after-dinner espresso or turned into gifts. 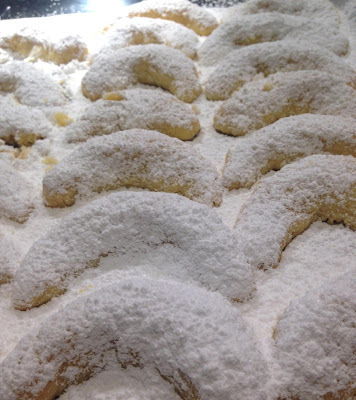 Vanillekipferl, Austrian hazelnut vanilla butter crescents (below), a family recipe, disappeared as fast as I could make them.